The Iraqi military has reportedly warned of an Islamic State (ISIS/ISIL) resurgence in northern Iraq, noting that the group has already attacked the Kurdish-majority Kirkuk region, home to lucrative oil fields. In an interview with Bas News, Ahmed Askari, a member of the Kurdish-held Kirkuk Provincial Council, dismissed as false the Iraqi military’s allegation of an ISIS re-emergence in northern Iraq, a region primarily controlled by the autonomous Kurdistan Regional Government (KRG). Islamic State (IS) extremists on Saturday launched an attack on an oil field in Kirkuk Province, killing at least two police officers. A security source from Kirkuk said a group of IS militants attacked the Khabaza oil field in the disputed province, killing at least two police officers and wounding another one.The security source added that police reinforcements were sent to the site of the attack but did not reveal whether any of the oil wells were also targeted by the militant group. Relations between Baghdad and the KRG deteriorated since the Kurds approved an independence referendum in September Iraq 2017, prompting military clashes between the two sides. Aided by Baghdad-sanctioned Shiite militias affiliated with Iran, the Iraqi military seized Kirkuk last October from the KRG’s Peshmerga forces. “Since the military takeover of Kirkuk and other disputed territories by Iraqi forces and Hashd al-Shaabi militias, the security situation in the region has deteriorated,” notes Kurdistan 24. Kurds remain the majority portion of the population of Kirkuk, also home to Arabs, Turkmen, and Christians. U.S. and Iraqi officials cautioned that ISIS remains a threat soon after Baghdad declared victory over the terrorist group in December, acknowledging that pockets of the jihadists remained in the country. 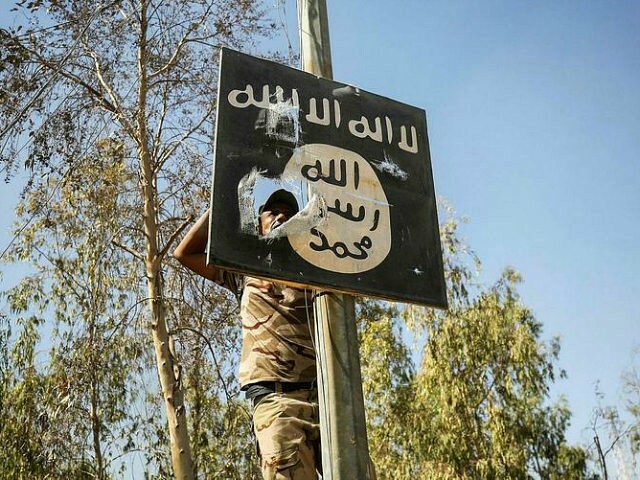 As of the time that Baghdad announced ISIS’s demise, Breitbart News, citing various reports, noted that the group had lost “98 percent” of its so-called caliphate in Iraq and Syria. ISIS core has started—and probably will maintain—a robust insurgency in Iraq and Syria as part of a long-term strategy to ultimately enable the reemergence of its so-called caliphate. This activity will challenge local CT [counterterrorism] efforts against the group and threaten US interests in the region. ISIS almost certainly will continue to give priority to transnational terrorist attacks. ISIS also remains a threat outside of Iraq and Syria, particularly against the United States and regions where it has established official branches. Both Iran’s narco-terrorist proxy Hezbollah and ISIS maintain a presence in the United States’ backyard — Latin America, recently warned the U.S. military.